"I am reminded of the story of Jacob in the Old Testament, in Genesis, when he was traveling in a strange land. Up to that time he had had limited experience and had been held close to home ties. But in this strange place he awoke one night after a dream and said. 'Surely the Lord is in this place; and I knew it not.' (Genesis 28:16) I would like our young men to remember that wherever they are, God is in that place and they must take Him into their confidence and conduct themselves in His ways. 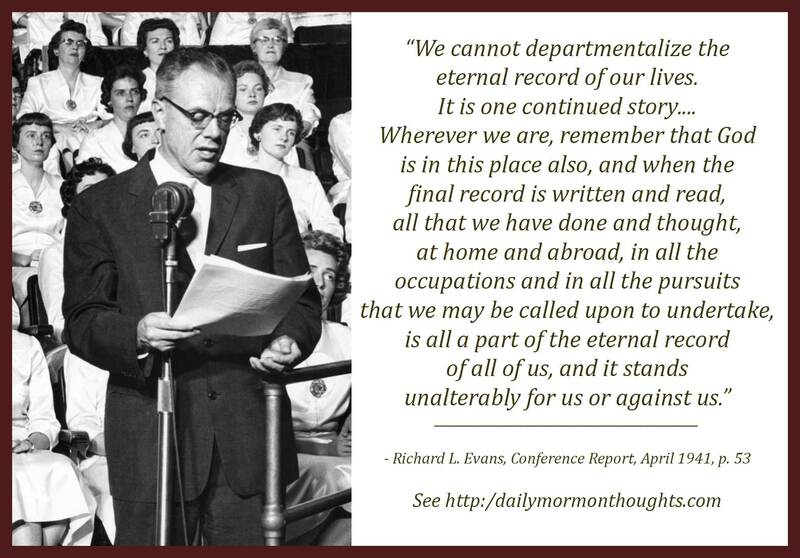 "We cannot departmentalize the eternal record of our lives. It is one continued story. As Latter-day Saints we don't behave one way in the army and one way in business and another in Church. That is, not if we give heed to our principles. We do not behave one way at home and another way away from home. Wherever we are, remember that God is in this place also, and when the final record is written and read, all that we have done and thought, at home and abroad, in all the occupations and in all the pursuits that we may be called upon to undertake, is all a part of the eternal record of all of us, and it stands unalterably for us or against us." I am impressed by that wonderful Old Testament insight from Jacob's life. We can find God in many places where we may not expect to see Him, and should never assume that He is not near. We just may not have the spiritual sensitivity and maturity to notice Him at times; what a challenge to work on! The idea of "departmentalizing" our lives also rings true. We are not part-time disciples. We must look to Him in every thought (see D&C 6:36) and every deed. "Lesson number one for the establishment of Zion in the 21st century: You never 'check your religion at the door.' Not ever. "My young friends, that kind of discipleship cannot be—it is not discipleship at all. 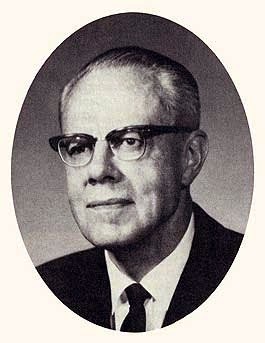 As the prophet Alma has taught the young women of the Church to declare every week in their Young Women theme, we are 'to stand as witnesses of God at all times and in all things, and in all places that ye may be in,' not just some of the time, in a few places, or when our team has a big lead." Elder Evans reminds us that "we don't behave one way in the army and one way in business and another in Church." God is in every place where we are, and we must behave as one who understands that vital principle.